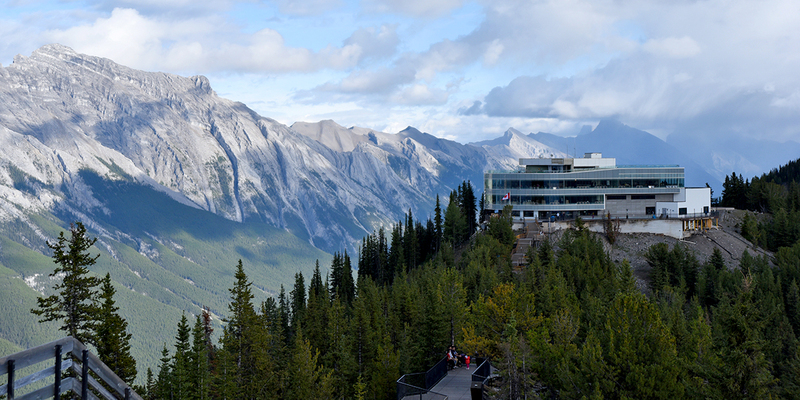 Canada's most iconic mountaintop experience has been reinvented. 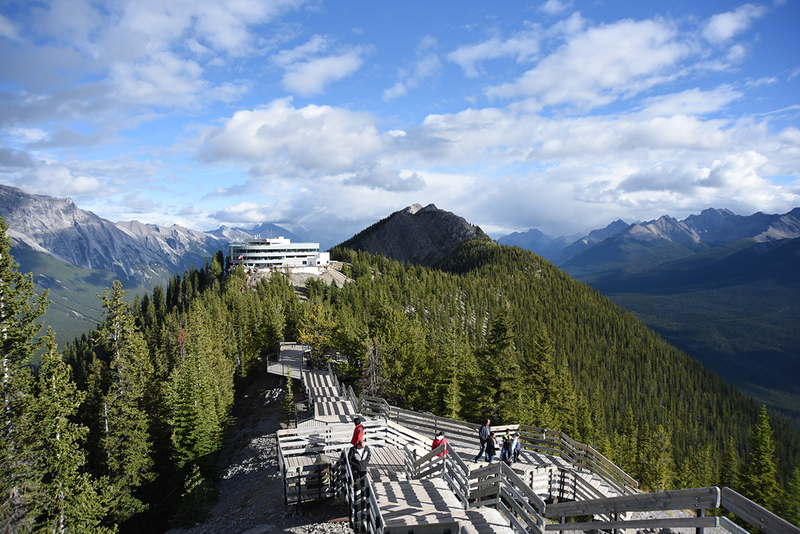 A rebuilt, redesigned and reimagined mountaintop experience has resulted in a world-class indoor experience that equals the awe-inspiring ridgetop boardwalk 2,900 ft. above Banff. 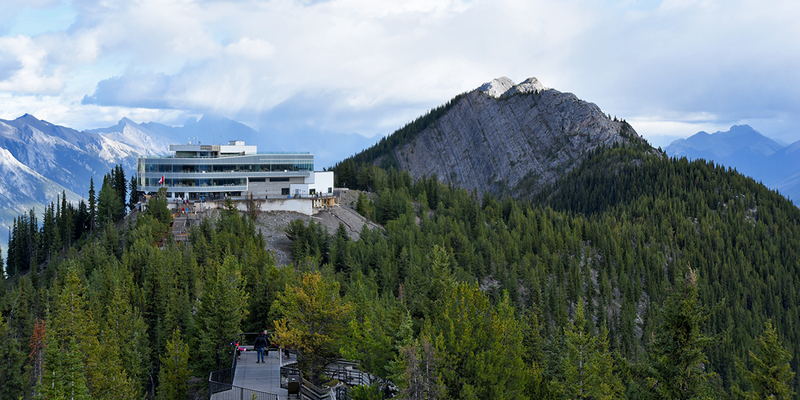 In operation for over 40 years, the gondola at the summit of Sulphur Mountain in Banff National Park welcomes over 500,000 visitors annually. To meet the demands of today’s tourism industry, the gondola and related structures were redeveloped into a state-of-the-art complex to significantly improve the visitor experience. 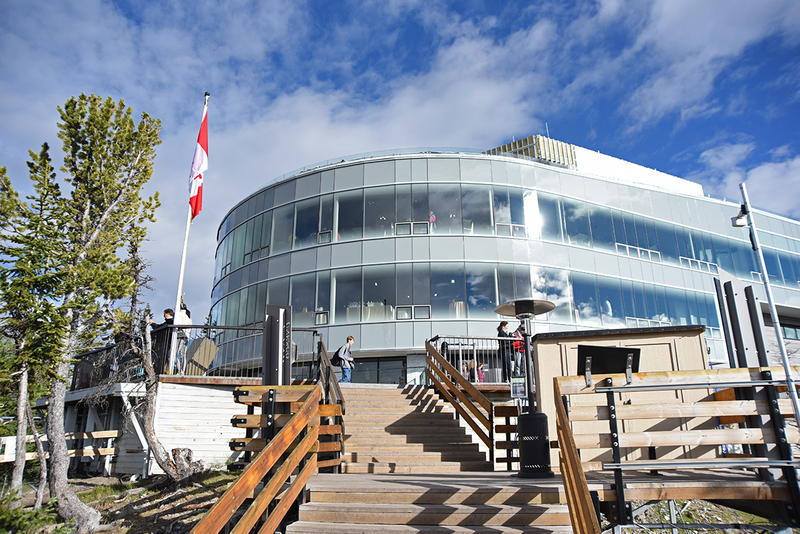 The new Banff Gondola complex is 30% larger than the previous structure and adds a 48-seat theatre, cafes and restaurants along with improved washroom facilities. A new interpretive centre heralds environmental stewardship. A rooftop deck provides a 360-degree view of six mountain ranges. The terminal also includes an outdoor climbing wall and a 150-person conference space for weddings and corporate events. The impact of construction on wildlife and the natural environment was a critical issue facing the design team. The design utilized the existing foundations and overall footprint of the existing structure to minimize potential environmental impact during the redevelopment. Challenge: Access to and construction at the top of a mountain was a challenge. Due to high costs, the number of helicopter lifts was limited. The majority of building materials were transported up the mountain using the gondola with imposed weight and length limits. Solution: We were able to successfully incorporate these weight and length limits into the design of the structural framing systems allowing the design vision to be achieved while respecting the project’s budget. Learn more from Brewster Travel Canada. Learn about the design from DIALOG.